Mickey and Minnie in Paris. . HD Wallpaper and background images in the Disney club tagged: disney. This Disney wallpaper contains ڈاؤن لوڈ ہونے والے, مزاحیہ کتاب, منگا, کارٹون, ہالی ووڈ, and کامک بُک. There might also be داغ گلاس ونڈو and داغ گلاس دریچہ. Paris is a such lovely place for lovers ! 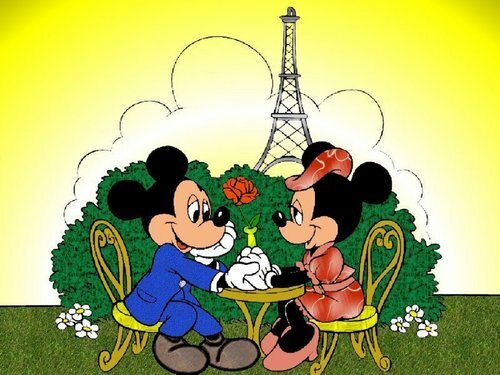 Mickey and Minnie in the city of love! So cute! And it's my city !